TAO friend Mario Lopez stopped by LAVO on Friday and Saturday nights. He was in town hosting the Miss America Competition. Saturday Mario partied with friends including Shanna Moakler. Our friend Zoe Saldana was in vegas this weekend for a quick getaway with her family. the group dined at LAVO on Friday and TAO on Saturday night. Look for Zoe in the upcoming Big Budget films "Star Trek" and "Avatar". Actress Fairuza Balk dined at LAVO on Saturday night. "The Craft" star arrived with one guest and said everything was "Amazing!" Shanna Moakler partied with friends on Saturday night at LAVO sitting at the table next to Mario Lopez and his crew. 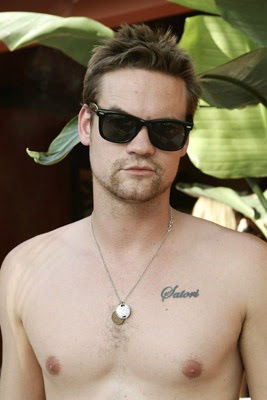 "ER" actor Shane West joined us this weekend as well with a group of 7 friends. The group partied at LAVO on Friday night and TAO on Saturday.